I met my husband in the parking lot of a grocery store. I know… how apropos. It was at a Publix grocery store, one of my favorite food stores. I have this slight obsession – I cannot pass by an abandoned grocery cart, I return them to their proper place. Let’s call it love & service and save the term obsession for sweeter things. I offered my grocery cart to Jeff as he was walking by and well, we’ve been together ever since. Over the years, Jeff and I have acquired a special kind of love for many many sweets. Currently at the top of our list is Tate’s Bake Shop cookies. Most of you are familiar with the obvious scrumptious flavors, like their chocolate chip and oatmeal raisins cookies that are full of crunchy goodness. Though, a recent trip to the grocery store unveiled a new flavor. We fell in love again. The obsession kind of love. The flavor: shortbread. It seems we do a lot of falling in love at groccery stores. It also seems impossible to get your fingers, er’… lips on them. A plain crunchy, salty, buttery, shortbread that has you gobbling it up by the package. Did I really admit to that? Well, yes but I shared it with Jeff – so it was totally acceptable! Here’s what you’ll need… You can make cookies and cut them out with any cookie cutter, or use a baking pan like I did to make bars. I used a 1/4 sheet pan, 9″X 13″ X 2″. In a small mixing bowl, combine flour and cornstarch. Set aside. In a large mixing bowl, use a paddle attachment to cream butter, sugar and brown sugar until combined . Add salt and vanilla mixing well until combined. Pour in the flour mixture and mix until combined. Your dough should be thick and stiff. Form the dough into a ball. Roll out on a lightly floured baking dish making it about to 1/4″ thick..
Bake cookies for 25 to 30 minutes. They will start to get golden brown on the side of pan and the top. Allow to rest in baking pan until completely cooled. I am constantly craving these buttery shortbread crunchy sweets, so much so that I never thought getting these on a regular basis would be difficult, otherwise I would have stashed some away for later. This new shortbread obsession sent me on a whirlwind search for this perfect cookie. 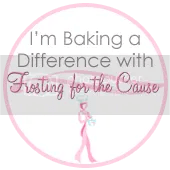 I explored new grocery stores, searched online blogs, reviews of cookie recipes, to finally buying Tate’s Bake Shop Cookbook and testing several recipes only find they were very different. I had fallen deep into “unrequited love”. Shortbread cookie love. Until recently, in a weekly Tate’s newsletter was the traditional recipe of the month, offering a version of their shortbread cookie. I immediately noticed this recipe was different then any of the others I tried, so I did what any good sugar shortbread cookie obsessed baker would do and made them. WOW, these are pretty close, tasty and buttery and crunchy and salty and all things good. They had the consistency and texture that had me falling for them in the first place. So for today and because it’s Valentines day, I’m sharing this incredibly simply, crunchy, salty, buttery shortbread cookie with you. I hope they make you happy too! I love how you two met!!! Awww that’ so sweet how you and Jeff met – you’ll have to tell me the rest of the story when we meet up. 😉 I’ve never been a big fan of shortbread, but you’ve convinced me to try this – I have yet to try a Tate’s cookie but if I can make it at home… why not? Happy Valentine’s Day to you and Jeff! I think the way you and your husband met is really cute. We don’t have Tate’s here but I do love shortbread and I’m happy that you shared this recipe with us. I love shortbread and haven’t made it in years…. Wonderful post. I’m looking for a shortbread recipe that’s better than the one I got from my mother-in-law. I’m definitely going to try it.